'Tis the season to be jolly and deck the halls - have your purchased your arsenal ofChristmas decorations yet? Baubles are great, ornaments are lovely, but nothing quitesparkles like tinsel. Looking to have your own glittering holiday this year? 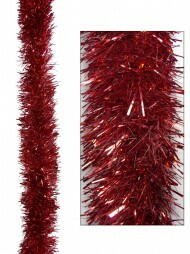 Then makesure to have plenty of our Deluxe Tinsel on hand. 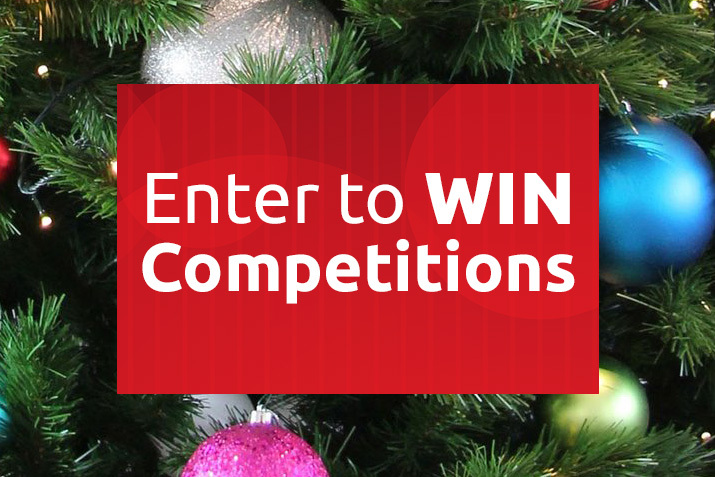 What makes these Christmas decorations so special? 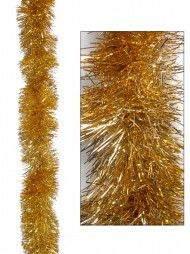 These strands of tinsel are 5.5metres long, with a thickness of 100 mm x 4 ply. 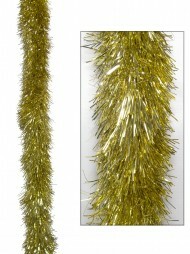 This tinsel comes in five shimmeringshades - red, green, blue, gold, and silver. With so many options, it will be easy to picka colour that suits your holiday theme, whether you like a traditional look, with a festivered and green scheme, or a more modern twist combining blue and silver. Twist strandsof two colours together for a simple garland for doorways, window frames or stair rails.Add a couple to your dining table and watch them shimmer in the candlelight.Purchase multiple colours to dress up your Christmas tree, depending on your chosencolour scheme, or if bold splashes of colour are more your style, use all five huestogether in a colourful holiday display. 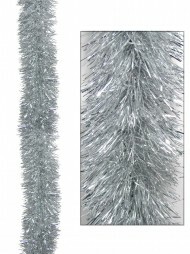 All areas of your home can be enhanced by the addition of Deluxe Tinsel. 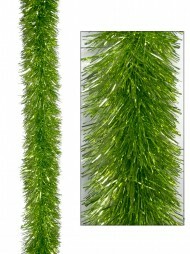 Christmasdecorations are an essential part of bringing holiday cheer to your family and friends.Be sure to add a few strands of this lovely tinsel from The Christmas Warehouse toyour holiday shopping list. These thick garlands are perfect for bringing the spirit of theseason into your home.